Watch chronograph woman of 43 mm diameter. Movement of quartz Miyota. Policeramica with bezel stainless steel case 316L with IP protection. Top rear of steel stainless 316 L with coating IP Golden, threaded to the box and with resistance of immersion to 10At. 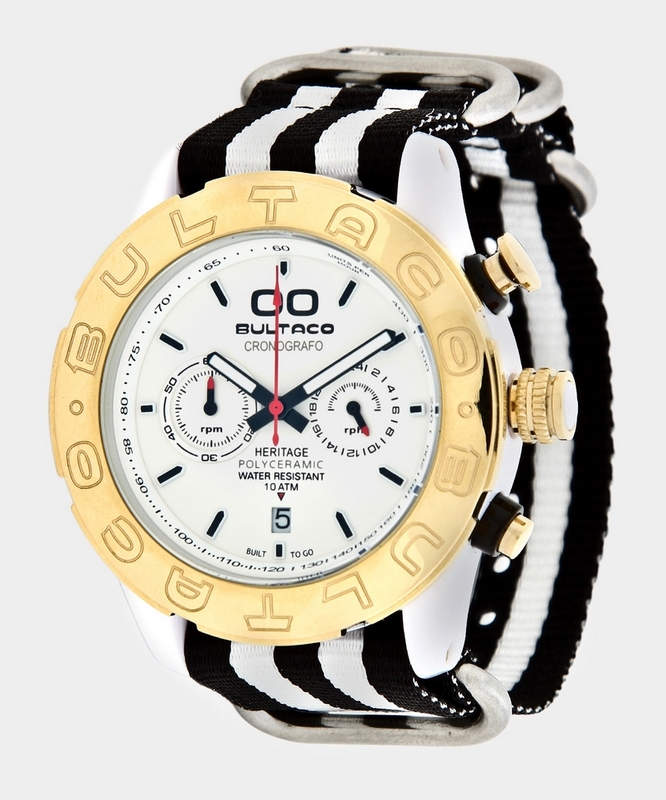 White silicone with stainless steel buckle strap 316L IP Golden conrecubrimiento.